Pharmacogenetics is an area of genetic testing that assesses the genes responsible for the way a body handles and responds to medications. A common pharmacogenetics application is related to drug metabolic pathways (how a body breaks down or metabolizes drugs). Mutations in these pathways affect an individual’s response to medication. Mutations in the genes of these pathways can cause a patient to be unable to break down a drug or to break down a drug too quickly or extensively; these mutations can make a drug ineffective or lead to an adverse drug reaction. To evaluate whether an adverse drug reaction (ADR), non-standard dose requirement, or therapeutic failure could be explained by known drug-gene associations. Patient has a family or personal history of unexpected outcomes from certain medications. Patient wants to be proactive and determine his/her phenotype (drug metabolism type) prior to taking a new medication. 1. Mayo Clinic, Center for Personalized Medicine. Pharmacogenomic PGx profile service. 2. PCLS. Personalized treatment through genes. Preventing many adverse drug events before they occur. 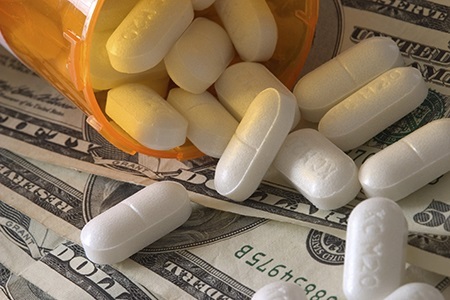 Reducing pharmacy costs for clients by optimizing dosage. Decreasing the number of patient hospitalizations. Improving patient compliance with their drug therapies. Pharmacogenetics test results become part of a patient’s medical record. The record can be referred to when future medications are prescribed. 3. Agency for Healthcare Research and Quality. Reducing and preventing adverse drug events to decrease hospital costs. The Cytochrome P450 Genotype Panel (ARUP test code 2013098) includes a detailed enhanced report designed to assist clinicians in the interpretation and application of the genetic test results for their patient. Supplied in conjunction with Coriell Life Sciences, the report provides the genotype of the patient, as well as an interpretation of that genotype by an ARUP medical director. It also contains a medication summary with a list of medications that can be approached with standard precautions, those for which a dosage alteration or change in medication is recommended, and those for which an alternative is strongly suggested. The clinical evidence for each recommendation is marked as strong, moderate, or emerging. A link to GeneDose LIVE is included if clinicians need additional information. An example of this report is available on our website: Cytochrome P450 Genotype Panel enhanced report. Ordering recommendations in pharmacogenetics are currently based on specific drugs. Testing recommendations are endorsed/promoted by professional societies in some cases. Video Lecture with online credits: CME, SAM, PACE.